This book is an exploration of how art—specifically paintings in the European manner—can be mobilized to make knowledge claims about the past. No type of human-made tangible thing makes more complex and bewildering demands in this respect than paintings. 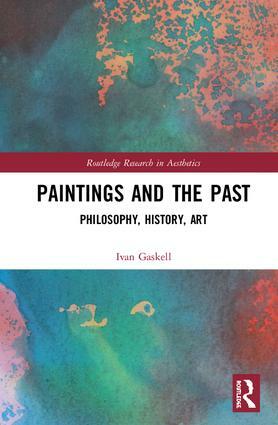 Ivan Gaskell argues that the search for pictorial meaning in paintings yields limited results and should be replaced by attempts to define the point of such things, which is cumulative and ever subject to change. He shows that while it is not possible to define what art is—other than being an open kind—it is possible to define what a painting is, as a species of drawing, regardless of whether that painting is an artwork or not at any given time. The book demonstrates that things can be artworks on some occasions but not necessarily on others, though it is easier for a thing to acquire artwork status than to lose it. That is, the movement of a thing into and out of the artworld is not symmetrical. All such considerations are properly matters not of ontology—what is and what is not an artwork—but of use; that is, how a thing might or might not function as an artwork under any given circumstances. These considerations necessarily affect the approach to paintings that at any given time might be able to function as an artwork or might not be able to function as such. Only by taking these factors into account can anyone make viable knowledge about the past. This lively discussion ranges over innumerable examples of paintings, from Rembrandt to Rothko, as well as plenty of far less familiar material from contemporary Catholic devotional works to the Chinese avant garde. Its aim is to enhance philosophical acuity in respect of the analysis of paintings, and to increase their amenability to philosophically satisfying historical use. Paintings and the Past is a must-read for all advanced students and scholars concerned with philosophy of art, aesthetics, historical method, and art history. Chapter 1: Why Paintings? Why Art? Ivan Gaskell is Professor of Cultural History and Museum Studies at Bard Graduate Center, New York City. He is the author, co-author, editor, or co-editor of thirteen books, most recently Tangible Things: Making History through Objects (2015).